Oh really? 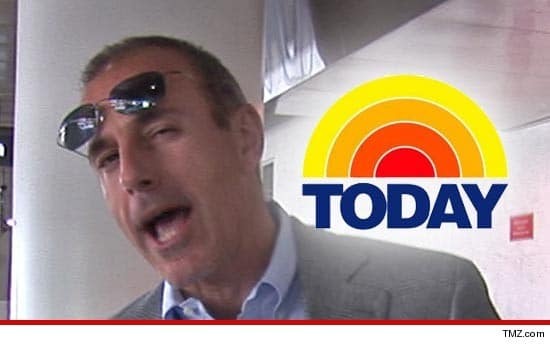 Matt Lauer gets 2 year extension on NBC's Today show. But how? Oh really? Matt Lauer gets 2 year extension on NBC’s Today show. But how? Matt Lauer is still a preferred hawt bixch …. NBC‘s Matt Lauer has just signed up a lucrative deal to remain the head peacock at the broadcasting giant’s flagship morning show, The Today show for another two years, reported this morning the NY Times. It is also believed to be one of the most lucrative jobs in broadcasting as well, even more so after the new deal was signed off. Matt Lauer’s previous salary deal although officially not disclosed, was believed to be paying the media honcho anywhere from $20 million to $25 million a year. What Matt Lauer came to be paid this time round is anyone’s guess, although one wonders if he did agree to take a paycut in exchange for not being sent to the gallows? Nevertheless Matt Lauer’s new sign on extension comes in the face of 2012’s humiliating firing of former co anchor Ann Curry who many had come to believe Matt Lauer had come to push off the ledge. At the time the show’s ratings had been declining and it was believed replacing Ann Curry might do the trick,, that plus suggestions that Matt Lauer was no fan of Ann Curry given that the two purportedly retained frosty relations between each other. 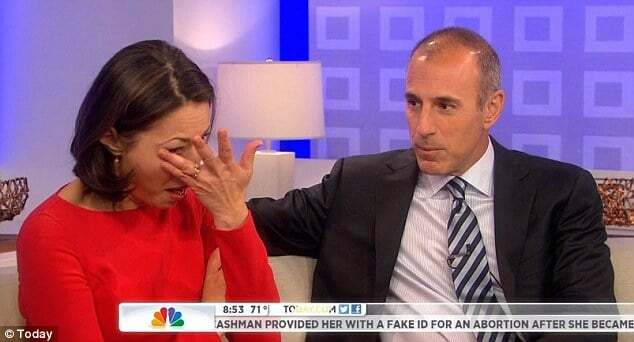 With Ann Curry gone and viewers seemingly appalled, NBC’s Today show only continued to plummet with NBC insiders beginning to wonder if it might be time for Matt Lauer to go. Over the next coming year, leaks would surface in the press that bosses were unwilling to extend Lauer’s upcoming end of contract in 2014, whilst other leaks would tell that his dismissal was a foregone conclusion and just around the corner. One minute Matt Lauer’s head is on the chopping block, the next his being branded the best in the business? Do such thing go hand in hand? Interestingly it would also be said that Matt Lauer had also considered the possibility of not returning to the show, but then again his decision to stay may have something to do with a lack of offers from other media outlets who might not be so game to stomach the legacy of Matt Lauer. During the week of June 2, “Good Morning America” averaged 5.4 million viewers to NBC’s 4.6 million, the Nielsen company said. That said, the Today Show since the Ann Curry fiasco has made up some ground in the coveted A25-54 category reports huffpo, with the hosting team much more stable, and Matt Lauer seemingly having learned to carefully sip his morning chamomile tea and mind his grandstanding manners. I just threw up my breakfast! Many more years of NOT watching The Today Show for me, and I was truly hoping I could return to it. Matt’s delivery and smugness is too much to bear. If I happen to have the 7-9am hour on and he comes on screen, I switch channels immediately! I love GMA!! Luckily, Matt is off-air in hours three and four. Hour three has too much loud talking-over each other. But I do watch Hoda and Kathie Lee regularly. He must be bringing them money, which is the only thing that counts for these people.